A villa holiday is whatever you make it. You have the freedom to create your perfect getaway. For some, it's endless beach time on golden sands complemented by a dip in cooling ocean waters. For others, it's a time of discovery and exploration within local treasures. Mix your villa holiday with a city day trip in Portugal. Many villas are located in reach of breathtaking city landscapes, which promise to enrich your cultural experience and holiday memories. Get the best of both worlds with a villa holiday on the glistening Silver Coast, paired perfectly with the vibes of a city break in Portugal's capital. Picture a scene of patchwork buildings, met by colourful alleyways overlooking Gothic cathedrals and ancient ruins. Lisbon is an unbeatable combination of awesome architecture, blossoming streets and laidback locals. Take an iconic tram ride and sample local cuisine. Whether piri piri chicken or tasty fish please your palate, a culinary adventure will delight your senses and your curious appetite! Dive into the passion of Porto for a snapshot of pure Portugal. Locals mingle and go about their daily routines with a laidback outlook. Laundry hangs between narrow rows of buildings to the sound of bustling streets and busy bars. You'll notice the modern architecture and colourful street art giving this city its lively and fun-loving heartbeat. Stop by local cafés and enjoy an aromatic coffee as you marvel at passers-by. Funchal delightfully contradicts Madeira's reputation as a low-key, quiet holiday destination. Trot along the flower-laden streets towards its majestic harbour. Its lively rhythm is present all year, with festivals gracing the streets regularly. Time your visit to experience the samba or flower festivals. For the turn of the New Year, an impressive firework display lights up the sky. It basks in year-round warmth, with the island sitting closer to Africa than its motherland of Portugal. 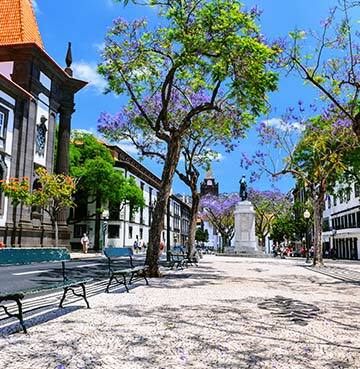 Madeira is changing perceptions, backed up by its colourful capital of Funchal! Take to land or water and find your thrill in Portugal. Whether you're an adrenaline seeker or prefer a more relaxed adventure, there's something for everyone along Portuguese shores! 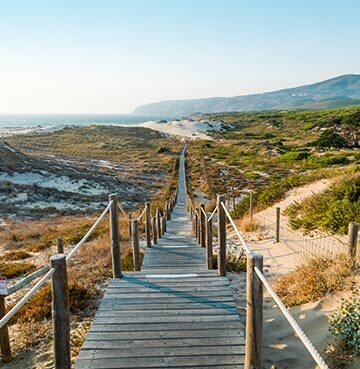 Known as one of the most sporting lands in Europe, you'll be spoilt for choice as you kick, flick or swim your way to holiday heaven in Portugal. Feel like a superstar on lush golf courses in the Algarve. Swing into the action at some of the most famous Championship clubs in the world, where you'll feel like royalty! Choosing a villa on a golf resort doesn't just please the golfer in the family – glorious beaches, sunbathing havens and tempting eateries mean happiness for all. So tuck in and make holiday memories with all the family. If you prefer taking in glorious sights on foot without the club and caddy, wearing in your walking boots might be more up your street. Hiking and walking is growing in popularity on Madiera's levadas, while the Mountains of Serra da Estrela and Peneda-Gerês National Park on Portugal's mainland offer walking spots with panoramic views. 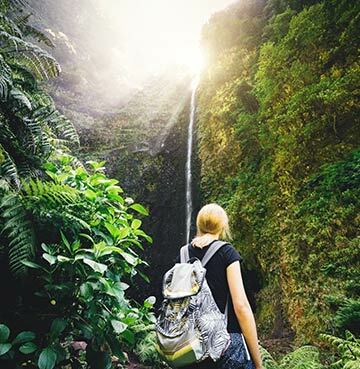 This natural wonder is just a short drive from Povoa de Lanhoso in Costa Verde, luring holidaymakers for an active and rewarding day trip. Football fans will also feel at home. The love of the sport throughout Portugal glows from stadiums to park pitches, and beaches to bars displaying the latest match. Some talented players and managers have risen from the youth ranks and academies, inspired by the passion they feel from an early age. Play your own game or experience that unbeatable matchday atmosphere at a game in Lisbon, Porto or beyond. Atlantic waters serve up perfect conditions for surfing and paragliding. For an alternative perspective, visit the Douro River for kayaking and snorkelling. Immerse yourself in adventures above or below the water! 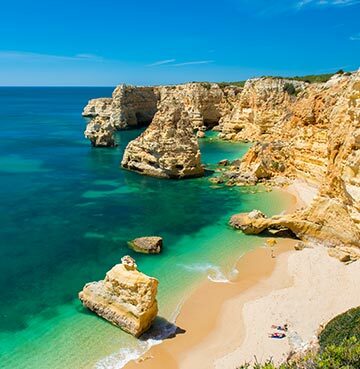 When you think of a holiday in Portugal, its famous beaches spring to mind naturally. And of course, a visit to a waterpark is also a must! 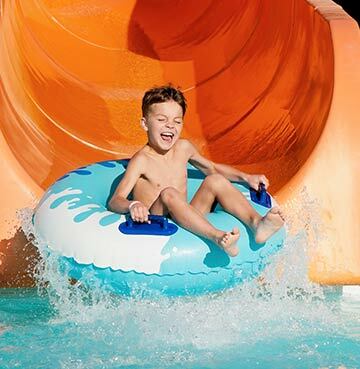 Find water thrills in every corner of Aqualand, where fun for all ages awaits. Beyond those tempting doors, enjoy slides, rapids and waves or sunloungers and Jacuzzis. Or perhaps a mix of both suits you just fine! Find your perfect day out at this adrenaline playground set between Carvoeiro and Albufeira. The name given to Slide and Splash Waterpark speaks for itself. A memorable day out is had by all who delve into its Kamikaze and black hole. Admire falconry and reptile displays in between all the water fun! From the little ones to the (big) kids, there's a thrill or a show for any level of adventure at this park, based near Lagoa in the Algarve. With over 150 beautiful beaches gracing the Portuguese coastline, your paradise haven will never be far away. There's so many stunning shores to spice up your itinerary, it's impossible to name them all! We've dived into some of the best below to give you some beach bliss inspiration. These shores are blessed with an incredible Atlantic breeze, so take to your board for a surf sensation! These winds make it an ideal spot for confident surfers. If you're a little less likely to challenge the waves, a visit here is still worthwhile. As a filming spot for the James Bond film 'On Her Majesty's Secret Service' back in 1969, the beach is a popular day trip for film lovers. Dive into a scene of your own as you create your holiday masterpiece. Perhaps a visit to this intriguing coastline will be an award winning moment? Soft, uninterrupted sand is met by alluring crystal waters on this Costa Verde gem. A pine forest shelters the sands from strong winds, making it a family favourite. Your sandcastle creations are safe and the sea is calm for those moments you fancy a refreshing dip or a fun splash with your little ones. Think you know your beaches? A visit to Praia da Marinha will impress even the most experienced beach-goer! It's fondly known as one of the most beautiful beaches in the world. Limestone cliffs rise tall, carving out rugged shapes and iconic visions. Make sure you take a memorable snap of the letter M carved into the rocks. Dive into snorkelling thrills, or play with the kids in a game of hide and seek among caves and crevices. Marvel at the fascinating red cliffs met by green pines on this wonderful beach. The clash of colour between the hillsides and sand creates a mesmerising view. Finding a sunbathing spot here is easy – choose your relaxing haven along 6km of uninterrupted golden sand. The kids will love playing on the shores, too. Smiles are promised all round! An unforgettable sight awaits at Praia de Benagil – a cave carved seamlessly by Mother Nature, allowing the sun to peer through and dazzle its admirers. The view is so perfect, it's hard to believe it's a completely natural creation! A visit here forms part of many Portuguese itineraries, so make sure you add it to your list of 'must-sees' during your villa holiday in Portugal. Open your curious mind to a world of hidden nooks and crannies, away from busy tourist hotspots in Portugal. Treasured markets await in little villages and colourful towns. Jump into the local flow for a taste of how daily Portuguese life takes shape! You'll really feel part of the community as you admire fresh produce grown lovingly by passionate farmers. Anything from clothing to books are sold at flea markets, while the freshest catch of the day is brought ashore by fishermen. You won't find seafood tastier than this! Perhaps take some back for an evening feast at your villa? Giving an insight into 'real' Portugal, Silves sits inland in the Algarve. This traditional Portuguese town radiates a laidback ambience and rich history. Explore its streets and pop into the market for daily treats with an individual stamp. 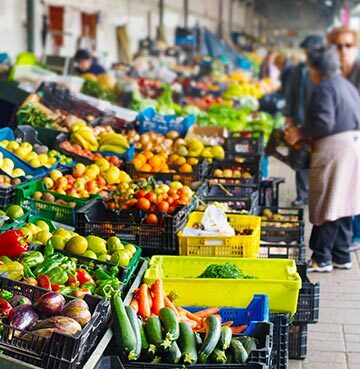 Find a Moorish market at lively Loulé, where quirky stalls also open on Sundays. Your visit here is made even more enjoyable with whitewashed Arabic buildings sitting along cobbled streets. Portugal may not be the first name to spring to mind when you think of classic wine. But its talent for creating some of the world's best varieties cannot be underestimated! Varied climes from north to south mean a selection of wines are produced with love and care. 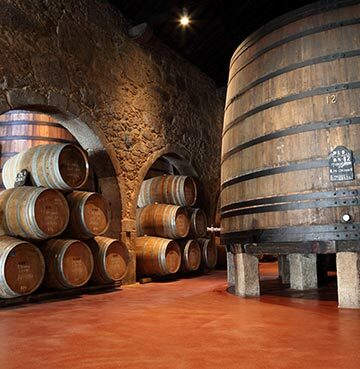 A visit to a winery is a tipsy treat with fruity fusions of white, red and rosé on offer. When zesty sips pass your lips, a taste sensation begins – you won't be forgetting this in a hurry! Find crisp whites in the north around Costa Verde, where cool and hilly surroundings provide fertile granite soils for grape growing. This Vinho Verde wine region is the largest in the country. Sitting further south, the Douro Valley is known for full-bodied whites, with an irresistible richness and higher alcohol content. This is the oldest wine region in the world, dating back to the 1700s. Portugal's most famous dessert tipple, port wine, was born here. It's the perfect complement to your after dinner treat! The Algarve takes centre stage for many Portuguese holidaymakers and also stakes its claim as one of the best wine regions in the country. Its enviable temperatures favour visitors and vines alike! A mixture of reds and whites are produced here thanks to its varied terrain and soils. Madeira may be famous as the birth place of a certain footballer named Ronaldo, but it's also a wonderful wine producer. Deep valleys and steep slopes glow in its consistently warm climate. Volcanic soils create an idyllic environment for grape growing – resulting in some tasty whites. The island's wine festival is staggered over seven days, and may even leave you staggering back to your villa with a jolly smile after a few samples!